• What is TimeTec Leave? Times have changed and disruptive technologies are here to nudge us to keep up with the technology trend because for those who are disrupted and didn’t do anything about it, could be left behind and become irrelevant. The workforce industry has initiated automation using the latest technologies such as cloud-based solution for time and attendance whereas staff can clock in from anywhere using mobile App and the management can receive data in real time manner at anytime. Another relevant workforce automation solution from TimeTec is employee leave management, that automates leave calculation, balances, accruals, applications and approvals to simplify process, elevate team collaboration and produce up-to-date accurate results at all times. It’s time to shift the complex and tedious leave management solution into a more simpler yet accurate leave management software on cloud with TimeTec Leave. Find out 10 seriously good reasons to deploy TimeTec Leave. Leave entitlement is not something a company can go about casually. Employee leave has to be managed properly and in compliance with the labor law of a country. Thus, the company can’t afford to make mistakes in calculating the leave balances and accruals for each employee. Eliminating human factor from the leave management process could reduce errors and improve process performance significantly. These days people are attached to their smartphones all day long and by having TimeTec Leave as a useful app, it will not only provide convenience for the company but also provide transparency and control for both employer and employee because employees can apply for leave straight from their phone and their superior can also approve the leave from their phone respectively. They can check the leave details without having to book an appointment with a HR personnel thus simplifying the process. 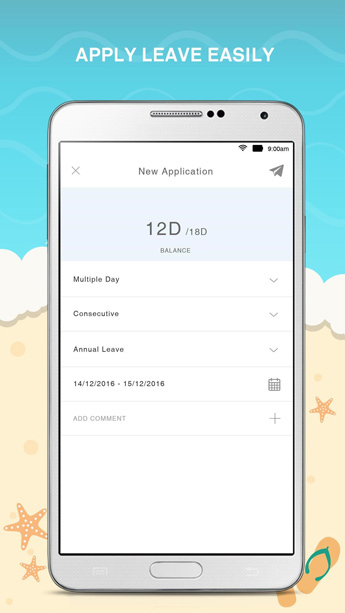 In a way, TimeTec Leave app could bridge the gap between the HR and the employee in a more positive way. TimeTec Leave provides a flexible and convenient approval system for any type of companies’ usage. Some departments go for a straightforward approval process that require only one approver, some needs two random approvers, others need sequential approval whereby before one superior approves, the next couldn’t do it. By providing approval method flexibility, approval system in TimeTec Leave could cater to a wide range of corporate requirements. Having a system like TimeTec Leave free your mind from worries about data inconsistencies because every application, approval, accrual and etc is recorded in the system, saved in the cloud server, away from manipulation. 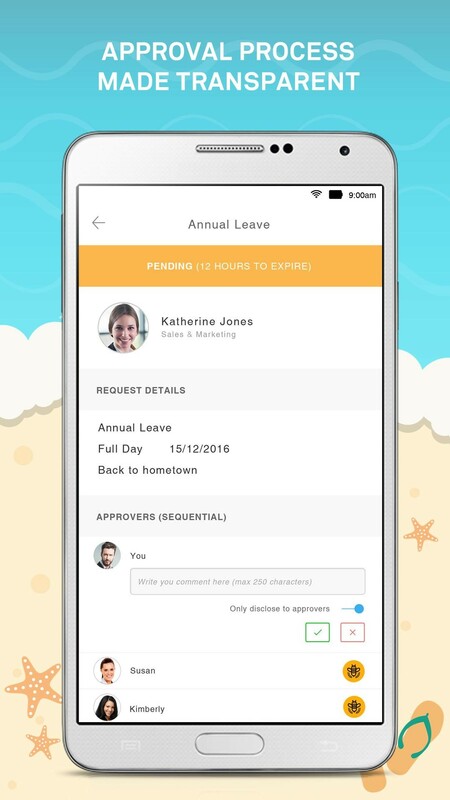 TimeTec Leave does not only cater to applications and approvals, the system also saves all activities including cancellation of applied leave, automatic leave approval such as sick leave, personnel who edits leave balance, when the accrual takes place, who did it and many more. superior can grant approval almost instantly through the application. Simultaneously, the system will calculate the leave’s balance automatically and based on the company’s policy will accrue leave entitlement accordingly. Think about the time your team saves and the accuracy of the data obtained, it’s simply amazing. Every company has its own leave policy that has to comply with the general labor law of the country. TimeTec Leave lets the company sets their own rules and regulations when it comes to leave management, definable by the company itself. By establishing the compliance rules, all operations will abide by the rules accordingly. TimeTec comes with other cloud-based workforce solutions including TimeTec TA for time and attendance, TimeTec Hire for recruitment and TimeTec VMS for visitor management. The TimeTec Leave can be incorporated with TimeTec TA whereby the work schedule will be linked to the leave system as well as using single sign on for better workforce management. Straight from recruitment onboarding process, the leave system can cater to the newbie instantly. With just USD2 per month, TimeTec Leave provides customers with ample benefits and convenience at the tip of the fingers. Do away with piles of traditional forms and signing process from superiors for your leave and get effective with TimeTec Leave. 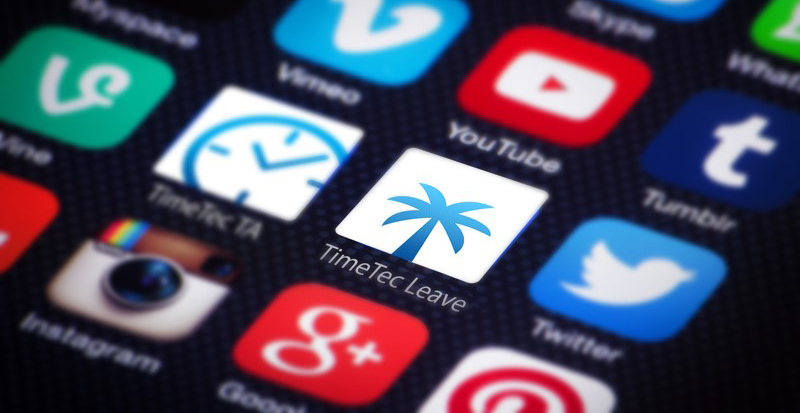 TimeTec Leave is available in both iOS and Android platforms. TimeTec Leave is a cloud-based solution which means that the update is free and instant. You don’t need to employ system administrator or worry about the “version” of the software because as long as your subscription is active, TimeTec Leave is updated. TimeTec leverages on Amazon Web Services cloud services to create a multi-tenant TimeTec TA that reduces operational cost and effectively utilize the infrastructure. TimeTec is utilizing the cloud technology to ensure consistent performance such as automatic scaling of the infrastructure based on load and high availability of the TimeTec services all while providing security at all times.